I snatched up this cute pair of shorts from my work almost a year ago, but now feel as though they are a wee bit too short for me - especially in the workplace. I still love them though, so the thought of selling/giving them away didn't even enter my mind. The solution was simple; I just had to make them longer and my first thought was using lace. This lace trim is from Paddington Antique Centre (same as the shorts - where we have a selection of vintage lace) or, if you prefer, you can just as easily pick some up from Lincraft/Spotlight etc. I chose this pattern for the scalloped edge; it just looks much prettier than a straight edge. 1. 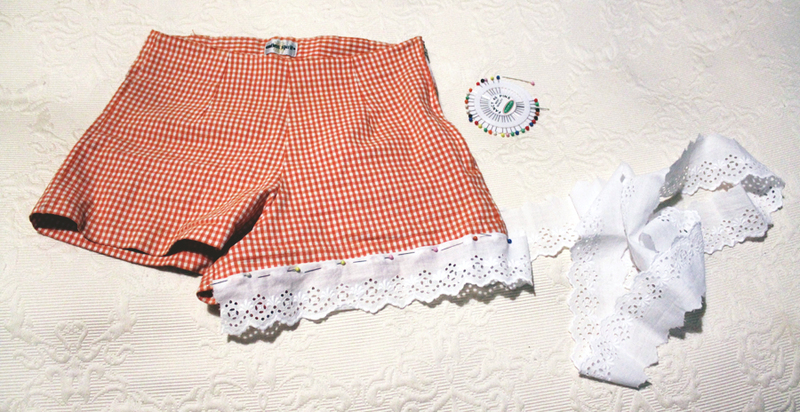 Place the lace on the trim of your shorts (make sure the ends meet at the crotch and not the outside seam) and pin in place. 2. Cut the extra length of the lace off. 3. 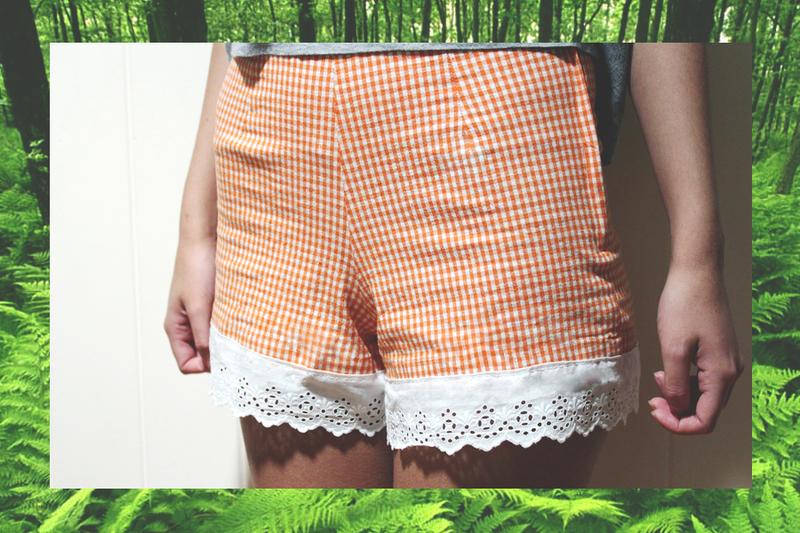 Sew the lace onto the shorts.